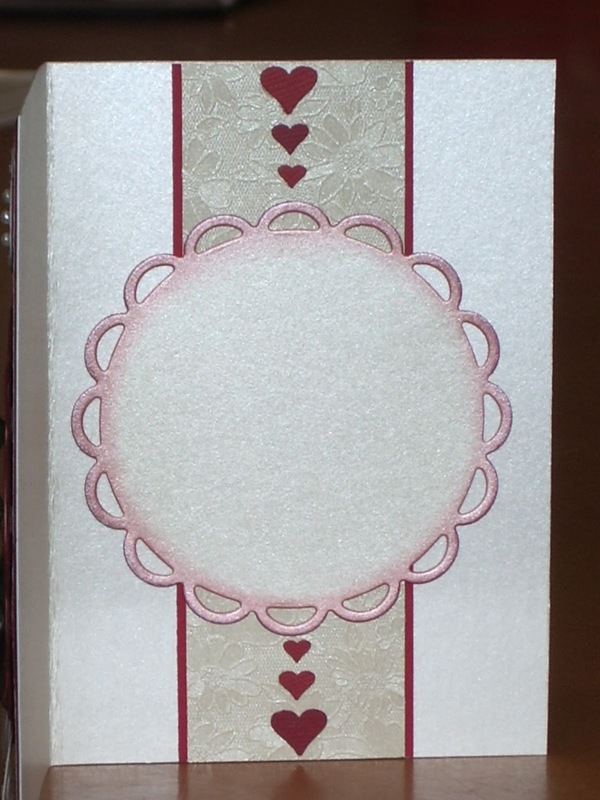 The challenge was to make a wedding card for a friend’s sister. 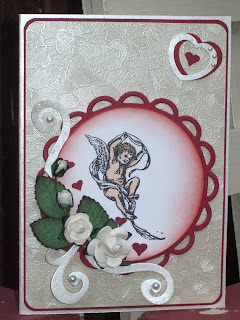 Well, what great timing ~ with valentines day not so long ago ~ I was able to get heaps of inspiration from all you talented bloggers. Thankyou! 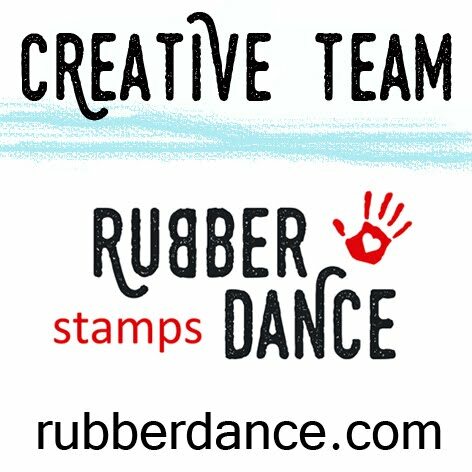 I bought this stamp because I thought it would go well with weddings, and new born babies and maybe even xmas. This is the inside of the card. I don’t usually do anything special on the inside, but I have been inspired by other bloggers to lift my game a bit. lol. 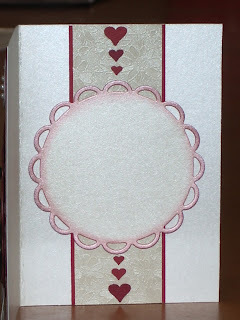 I have used some of the same embossed paper that I used on the front, along with the same template and hearts. Fantastic creation , I love the colours and details.